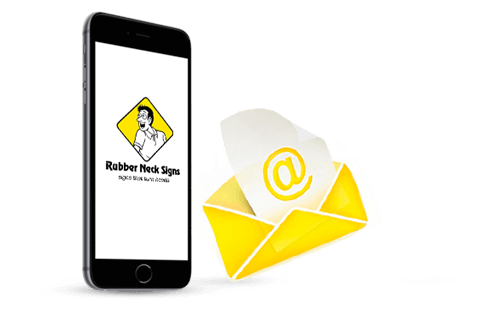 Rubber Neck Signs is just a phone call or an email way, and we can’t wait to assist you with all of your design and printing needs. We’d love to hear from you. No pressure. Let’s just have a friendly chat.